Cuccio Naturalé’s comprehensive line gives nail professionals everything they need for full-service natural hand, nail, and foot care. With Cuccio Naturalé, spas can offer a variety of services, from themed manicures and pedicures to specialty treatments, such as lemon skin-lightning treatments to gradually reduce skin pigmentations on hands, feet, and legs caused by age spots. 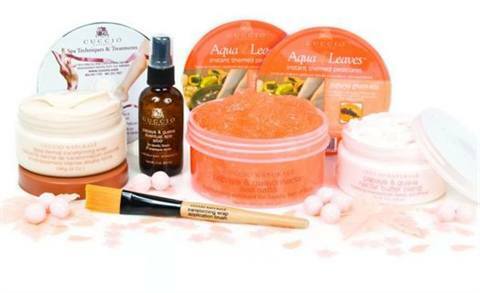 Cuccio Naturalé offers not just great products to use in the spa, but also a way to retail home maintenance treatments, giving spas another income stream. The company also supports spas by giving away free business-building DVDs busy spa professionals can watch at their leisure. The DVDs, available at www.cuccio.com or by calling (800) 762-6245, give professionals the tools to advance their career to another level.